THE RIGHTEOUS BROTHERS – FRIDAY MUSIC 180 GRAM AUDIOPHILE VINYL SERIES BEGINS!!! FEATURES 12 ORIGINAL SMASH HITS INCLUDING "YOU'VE LOST THAT LOVIN' FEELIN' " "UNCHAINED MELODY" "SOUL & INSPIRATION" “HUNG ON YOU” "EBB TIDE" “LITTLE LATIN LUPE LU” “JUST ONCE IN MY LIFE” "HE" & "THE WHITE CLIFFS OF DOVER"
"YOU'VE LOST THAT LOVIN' FEELIN' " WAS THE MOST SONG PLAYED IN THE 20TH CENTURY!!!! Bill Medley and Bobby Hatfield began The Righteous Brothers brand in the early 60's out of the Los Angeles recording their first albums and singles on Moonglow Records, and hit big with "Little Latin Lupe Lu." Upon signing to Phil Spector's Phillies Records, The Righteous Brothers would go on to record a plethora of incredible hit singles including the most played song on radio in the 20th Century with their # 1 "You've Lost That Lovin' Feelin' " plus huge follow ups "Unchained Melody" "Ebb Tide" "The White Cliffs Of Dover" and "Just Once In My Life." Moving over to Verve Records in 1966, the duo became more album centric and delivered a number highly successful albums and hit singles including their second number one classic "Soul and Inspiration." The Verve Records era would produce more blue eyed soul magic like "On This Side Of Goodbye" and "Go Ahead And Cry", while The Righteous Brothers sound would continue to be a household name and over the next few years would release some of the most memorable rock and pop songs ever recorded. In 1990, the blockbuster movie "Ghost" featured their classic hit record "Unchained Melody." 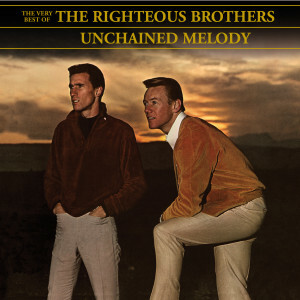 Radio listeners all over called their favorite stations asking for the song to be played, which resulted in Polygram/Verve to rush release an amazing hit collection "The Very Best Of The Righteous Brothers - Unchained Melody" to satisfy millions of record buyers. The 12 track collection gathered up all of the top charting hits noted above, as well as some more great tracks like "See That Girl" and "Hung On You", which in some cases would be heard by an all new audience, making these songs and the rest another great chapter in the continuing legacy of The Righteous Brothers. Mastered impeccably by Joe Reagoso (Elvis Presley/Frankie Valli & The 4 Seasons) at Friday Music Studios from the Moonglow, Phillies and Verve Records tapes, the first time audiophile album also includes a first time striking gatefold cover art presentation, with original release track information and a full color album photo gallery in the inside gatefold, making this a treasure trove for the classic pop and rock collector in all of us.